We are delighted that this week Google announced a number of new specialisms for select agencies within its Partner scheme. We've been a badged partner for some time but these specialisms really allow us to stand out, and we are led to believe, are far harder to achieve than simply becoming a partner. 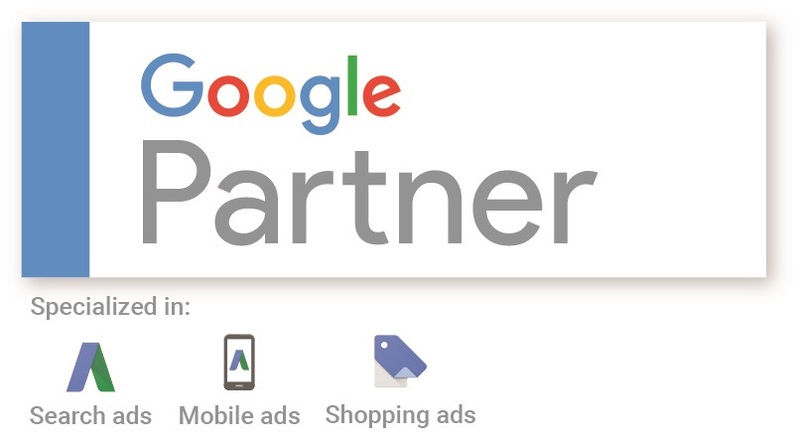 As such we thought we should mention it, we are now Google Partner specialised in Search, Mobile and Shopping ! For the last two years or so everyone has been saying “You must get a mobile friendly website” – primarily down to the increase in mobile searches. In fact, a lot of companies are now seeing that mobile (excluding tablet) search is a third of their total traffic, with it accounting for more than desktop traffic totals – leaving tablet as the number one device used for search. AdWords for some time has encouraged the development of a mobile friendly site. By being able to segment traffic, Ads could be tailored to those searches on a mobile device, telephone numbers could be added etc etc ma..